Wrongful death is a legal term used to define a fatality that is the result of an individual or entity’s negligent or malicious actions. A wrongful death claim will hold the responsible party accountable for the actions that led to the victim’s death. If a company is responsible for the wrongful death of an individual, filing a wrongful death claim against the company is the only legal option that is available to a victim’s family. Family members that have lost a loved one due to the actions of another may be able to file a wrongful death claim. In order to be eligible to file a wrongful death claim, family members must have been dependant on the individual whose life was lost for partial or full financial support. Dependants can include children, spouses, parents, siblings, or any other family member that was legally listed as a dependant or beneficiary. In a wrongful death suit, the family members of the victim are seeking compensation for any hardships that are being endured as a result of the victim’s death. A criminal lawsuit may be filed in addition to the wrongful death suit, but these actions will often be separate from one another. Due the burden of evidence that is required in order to prove wrongful death through a criminal lawsuit, it is often more timely for family members to file a civil lawsuit in order to receive compensation for a wrongful death. Every state has statute of limitations laws which place a time limit in which a wrongful death claim must be filed. Time limits may vary from state to state. Time limits may also vary based on the details of the case, such as in product liability claims in which numerous individuals have been harmed or killed due to a defect in a product. Intentional infliction of emotional distress is a claim that has been used in several wrongful death cases in which the victim committed suicide after an individual inflicted emotional damage. In some cases, it may not be required that the defendant had the intention of inflicting emotional damage on the victim when participating in the action in question. If the act was sufficient to outrage a reasonable person, it can be classified as intentional infliction of emotional distress. 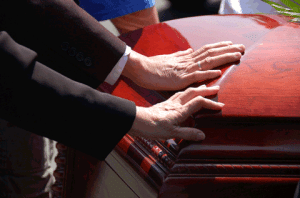 The most common causes of wrongful death are negligence and recklessness. Actions that differ from what a reasonable person would do in a situation can be considered negligent or reckless, especially if the defendant owed a duty of care to the victim. A duty of care may be owed by the doctor or nurse in a medical situation or by an employer to the employee at a place of employment. The amount of compensation given to a victim’s family members may differ depending on the details of the case and the relationship of each family member to the victim. Details of the case while are relevant to the compensation which is awarded include the victim’s salary and the health and life expectancy of the victim and the victim’s family members. The relationship between the victim and each family member may help to determine the amount of compensation awarded based on the level of dependency of the victim. For example, a small child would be determined to be fully dependant on the victim for financial support, whereas a working spouse would only be partially dependant. In addition to compensating a victim of wrongful death’s family members for lost financial assistance, the family members generally receive compensation for pain and suffering from the loss. All family members may receive an amount of compensation for the lost companionship, and children may receive additional compensation for the lost parental guidance and support. Emotional damage resulting from the loss may also be considered when determining compensation. Contact our Orlando Wrongful Death Attorneys today for your free consultation! “Statutes & Constitution: View Statutes: Online Sunshine.” Statutes & Constitution: View Statutes: Online Sunshine. The Florida Legislature, 4 June 2014. Web. 4 June 2014. “Wrongful Death Law.” – HG.org. HG.org, 1 Jan. 2014. Web. 4 June 2014.